Everywhere you look today, Augusta National and chairman Billy Payne are being heralded for finally inviting two women to join the vaunted host club of the Masters. This is all fine and good. I’m sure former Secretary of State Condoleezza Rice and South Carolina financier Darla Moore will be wonderful additions to the club. They are certainly everything Augusta National was looking for in a couple of, well, dames: accomplished in their careers, very proper, very rich, comfortable in world of the Old Boys’ Club, and the kind of golfers who know to pick up their ball when they lie 8 in the fairway. Still, if you ask me, this all comes just a little bit too late. I think the damage to Augusta National’s reputation is already done. The unfortunate thing is, Augusta National has worked so hard in so many respects over the years to be a good and proud corporate citizen. They conduct the Masters with the kind of precision and eye for detail that is unmatched by the USGA, the R&A or the PGA of America. For the TV viewer, they keep TV commercials to a minimum. For patrons at the tournament, they keep the tickets, the sandwiches and the beer artificially cheap. For the players, they keep the field small and uncluttered and the perks unbelievable. For the good of charity, Augusta National gives millions and millions of dollars to worthy organizations that need the money. That’s the irony and shame of this whole membership dust-up. Members of Augusta National, as you can imagine, tend to be men of wealth, influence, intelligence, conscience and pride in their sense of civic duty. Look no further than two members: Microsoft founder Bill Gates and Comcast chairman Brian Roberts. It is precisely because these men are who they are that I have found it so confounding for the past 10 years that they so steadfastly refused open the membership to women as a matter of principle. Who’s kidding whom? They did it because they could. They did it to demonstrate that nobody but nobody was going to push them around -- nobody was going to strong-arm or shame them into opening their doors to anybody they didn’t want. "At the point of bayonet" is how former club chairman Hootie Johnson put it back in 2002, when he was resisting pressure from Marta Burk to embarrass Augusta National into inducting a female member. Hootie and Augusta National made their point back then, but that what cost? Well, at the cost of painting themselves into a corner. By waiting so long, by showing everybody who’s the boss, they’ve managed to damage their brand in the process. Every year a the Masters, Augusta National wanted to talk about their considerable and noble efforts to grow the game among poor kids and in impoverished counties around the world, which was fine. But they got snippy and irritated when the media started asking questions about elephant in the room. It was almost surreal, and it surely wasn’t the kind of demonstration of PR crisis management you expect from guys at the helm of America industry. Give Billy Payne and Augusta National is moment in the sun. But face it, when the eyes of the world were on them – eyes that included their own daughters, granddaughters and young people looking for some wisdom, -- they handled it clumsily. Do they have to build a new set of ladies tee’s? I have been missing in action for most of the past couple of weeks because I was undergoing complete replacement surgery of my left hip, then in a rehab facility and, for the past three days, at home beginning the long path of recovery. I am a pathetic sight. I hobble around the house with the aid of a walker -- slowly, gingerly, cautiously. I have all manner of restrictions about what I can and can’t do, where and how I can sit, and sleep, and how I can manipulate my leg and hip. I can’t drive for several weeks. I’m on heavy-duty narcotic painkillers around the clock. They leave me a little foggy and I don’t like them, but I’ll take the painkillers over the pain. I could be on them for another week, or two, or three; the doctors say everybody is different. I have little appetite. The good news is, my surgeon assures me I should make a full recovery and be back to my old life, including golf, in 8-12 weeks. While actually playing golf is out of the question for a while, I am in plenty good shape to once again follow golf, watch golf, write about golf and return to devoting most of my day to trying to make this website worthy of your time and attention. Because major surgery takes it’s toll, I’m still figuring out what I’m capable of right now physically, and to be honestly, mentally. Many people take a month off from work after the surgery I’ve had. But to my delight, my strength and clarity of mind seem to improve a little each day. 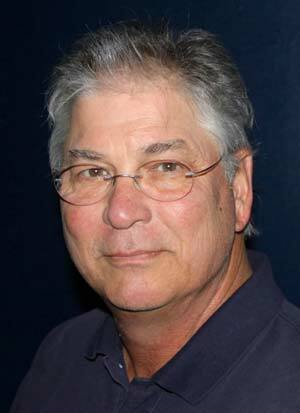 As I am able, I hope to write more of my own blogs and post more blogs and stories from Ron Romanik, who has become a major contributor to MyPhillyGolf in recent month, and from teaching pro Mark Anderson, who has just joined the website. It was less than six weeks ago, on June 20, that x-rays, then an MRI, confirmed that I needed a new hip. I immediately began researching the operation and my options as if I was writing a magazine story on the subject. I compiled a research folder and I consulted frequently with three friends who’ve undergone hip replacement. Two of those guys -- golf writer Jeff Silverman and attorney Michael McGovern -- had undergone double-replacement surgery. I thank both of them for their insights and support in recent weeks, and I bow with respect that they had both hips done at the same time. So, what happened? Turns out, the explanation for my reduced hip rotation and range of motion that David Ostrow documented during my early sessions at FitGolf.com in the spring were more complicated than either of us imagined. After a couple of sessions in late May and early June, the manipulation, stretching and exercises were followed by pain and limping that only grew worse. Before long, Ostrow grew concerned. "I think you might have something serious going on in that left hip," he said. When the pain and limping got worse over the next couple of weeks, Ostrow recommended I see an orthopedist, who would be able to tell very quickly from x-rays if anything truly worrisome of going on in my hip. To my dismay, the x-rays did. "You need a new hip," said the surgeon, almost matter-of-factly, as we viewed the x-rays together in his office.. There was significant deterioration of the bone in the femoral head of my hip, the ball part of the ball-and-socket. My work with Ostrow hadn’t caused the deterioration; it had simply brought it to the fore and perhaps enflamed it. The surgeon was also blunt, if not grim, informing me that the damage was already done: my hip wasn’t going to get any better, only worse and more painful. Hip replacement was pretty much the only option. In the meantime, I wondered, could I still play golf? "Yes," he said. "But how much and for how long? Let the pain be your guide." My initial plan was to delay the inevitable surgery until the end of golf season. I continued to play golf, albeit less and less, into late June and the first two weeks of July. The pain had become a dull, constant toothache that was interrupted all too frequently by a stabbing sensation so sharp it could drop me to my knees. I never knew when the stabbing pain would hit me – a misstep, a wrong turn, walking to the mailbox, dragging the trash can around to the front of the house, walking off a green. Still, I pressed on, gobbling more and more Aleve and learning to pull off a sort of half-swing that kept almost all my weight on my back foot. No hip turn, no rotation, no follow-through. It looked laughable, like a one-footed hop swing, but I actually began hitting my tee shots straighter than ever, which didn’t escape my notice or that of my regular golf buddies. "Are you sure you need this operation?" they’d joke. Yes, I did. Just to be on the safe side, I had opted for a second opinion from a second surgeon. This guy agreed on the original diagnosis, plus he advised that I needed to get the surgery sooner, not later. Waiting until the end of the golf season not advisable. He was right and I knew it. By then, the pain was almost paralyzing. I could no longer play golf; I could barely function. I went under the knife early on the morning of July 31. I will spare you the gruesome details of how they do a hip transplant, other than to note that it involves a sort of medical pry bar to pop the ball out of the socket, then a power saw. I think you get the picture. In the place of bone, I now have a titanium hip joint that promises to set off metal detectors in airports at home and abroad. Afterward the surgery, they staple you up and send you off to the recovery room with a morphine drip. I can’t tell you how much I miss golf. This break is different from winter, when you expect to put the clubs way for a couple of months; for us golfers in the Northeast, that is part of the natural rhythm of the game. But not this, not in the middle of the season. Golfus-interruptus. If all goes well, I should be back on the golf course sometime in October. For now, I can’t even putt on the carpet. What I can do is move from my desk chair, which I had brought down to the dining room table, to the couch, careful to keep my hips elevated above my knees. Sitting down is hard; so is getting up. Then again, virtually every single ordinary routine of life is suddenly a project that must be thought out and carefully executed to minimize bending, pressure on the hip and getting myself into any bad angles. When I got home a few days ago, I was miserable, in the depths of despair about the prospect of the next few weeks as a near-invalid. But each day, it has become a little easier, a little better – emphasis on "little." Yesterday afternoon, I ventured outside my front door for the first time. I opted for crutches over the walker, if only to preserve a shred of dignity. I made it up and down the sidewalk a couple of times, breathing in the fresh air. The things you take for granted. I am on the mend, physically and mentally. I can’t wait to take a pain-free step and a golf swing. I can’t wait to get my life back. Glad you are feeling better, slowly but surely, Joe. I didn’t know you were undergoing this/underwent it until just now via your blog. Bless your heart. Don’t hesitate to holler if I can help. I’m a short hop away. You were hitting it down the middle befor surgery and I’m sure you will come back hitting it down the middle when your able to play again. Have a fast and safe recovery and hope to see you on the tee again soon! Joe, wishing you a very speedy recovery. Enjoy the golf on TV and find some good new golf books to read. Glad to see you getting back into it, slowly, but surely. Meantime, enjoy watching the PGA Championship. Time to get Tiger Woods golf on your IPad. Rehab time will fly by. Get well soon! Did you get the Nicklaus hip? That should help your golf game. Get well soon Joe. On the bright side, no chores around the house! It’s a great week for golf but, alas, I won’t be able to do much posting. For the next few days, I’m afraid my focus and attention will be largely required elsewhere. Pardon the interruption. Is GAP making money off the Open? So, is the Golf Association of Philadelphia making a bundle off the Philadelphia Open Championship at Pine Valley? That’s the question I’ve gotten in a handful of emails, ever since it became clear that this year’s venue for the Open, Pine Valley, was going to attract more than the usual number of golfers trying to make it into the field of 72. Most years, GAP conducts two or three qualifiers for the Open. This year, because of the allure and mystic of Pine Valley, GAP increased it to four. Just over 600 club pros and elite amateurs competed to try to claim one of the 41 spots up for grabs in the four qualifiers (31 players were exempted into the field). According to GAP’s website, club pros paid an entry fee of $185, amateurs paid $135, for an average of $160 per player, multiplied by 600 . Ballpark total: $96,000. On Friday, I put the question to Mark Peterson, executive director of GAP: Is it the financial windfall it appears to be? Where is the money going? "There will be a little bit of overflow, but not at the level people think doing the calculations in their heads," said Peterson. Fact is, said Peterson, on virtually all other years, GAP loses money on the Open. Even with this year’s bump from Pine Valley, if you cost-average over the past five years, GAP still loses money on the Open. "Year in and year out, we lose money on this event," said Peterson. "We are going to break even this year and potentially make a little profit, but not at the level you presume." The reason, he said, is the cost of putting on the Open, including the expense of spectator control (1,500 are expected) recruiting and feeding lunch to 150 volunteers who will work the event, plus coordinating emergency services with the township. This year, GAP used some of the revenue from the qualifiers to increase the purse from $35,000 to $50,000. (First place is $10,000, second is $6,500, third is $4,500). At most GAP events, 100 spectators or less is the norm. For the Open, they have sold 1,506 tickets (proceeds to the J. Wood Platt Caddie Scholarship Trust). "When you conduct an event at Pine Valley, there are logistical things that don’t exits for a regional golf association," said Peterson. "It is exponentially more difficult. GAP does a wonderful job running their events. First class all the way. My understanding is that participation is at a high. kudos to all involved. Not sure about the GAP Open, but it would be nice to see GAP lower the cost to enter their tournaments. If the role of GAP is to promote the game of golf, they would be well served to lower the cost of entry. $135 + cart/ caddie for a qualifier is steep. And if qualifed, the cost continues on for each day of the event. How many potential players do not participate due to the high cost?? $135 + + + is steep for a young player (or even an employed adult). Multiplied by how many events?? Lowering costs would truly be promoting the game and GAP should take a serious look at the hurdles they create to participation due to elevated cost of entry & playing. GAP is a first class organization, but their costs just may be restricting access for a good number of players who desire to participate. It should be looked at for future years. Holes-in-one for the entire family! It’s holes-in-one for the entire family! Hardly week passes that a course in the area doesn’t send me an email about a golfer who made a hole-in-one at their facility. But this one, from Donna Horvath at Honeybrook GC, stood out from most. All three family members of the Wren family, from Morgantown, have aced a hole at Honeybrook. Mom Mary Wren is the latest. Who’s next, the family dog? Honeybrook, PA – In order to spend time together, many families share the same hobbies and interests. For three members of the Wren family from Morgantown it’s more than just a hobby. 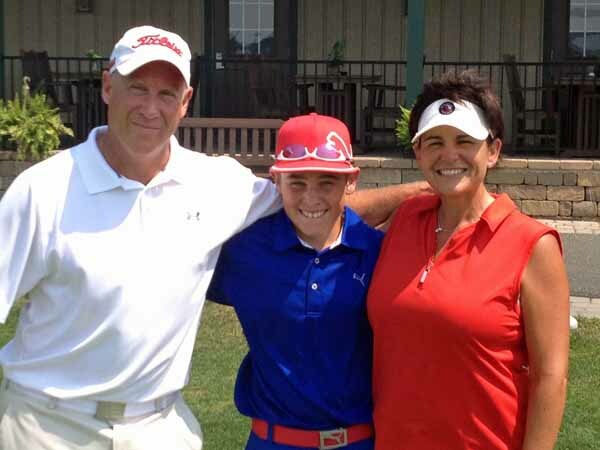 Thirteen-year-old RJ, his mother Mary and father Russ are all skilled golfers. Once or twice a week they golf together to bond and improve their game. And now, the Wren’s have achieved something never before done at their home course, Honeybrook Golf Club. Each family member got a hole-in-one. In March of 2010, RJ Wren was the first member of his family to score an ace. While out golfing with his father Russ and two friends, RJ drove his ball onto hole 17’s green with a 5-wood and watched it roll right into the hole. He was only ten years old. sand traps surrounding the green, Russ hit his 6-iron the perfect distance and received the family’s second hole-in-one. The Wren’s weren’t satisfied yet. On June 15, 2012 it was Mary’s turn. On the exact same hole her husband completed in a single shot, Mary finished the family legacy with a 7-iron to receive her first hole-in-one ever (and the family’s third). While RJ’s parents have mostly picked up golf for fun, RJ hopes to someday play college golf. He began golfing when he was 7 and has since won over 30 tournaments. He was two-time Philadelphia Jr. Player of the Year and was GAP (Golf Association of Philadephia) Boys’ Jr.-Jr. winner in 2011. This spring RJ qualified for the 2012 Kid’s World Championship Tournament at Pinehurst, NC. While RJ continues to improve his game and lower his 3-handicap, his contribution to the Wren’s three hole-in-ones won’t be the last history he makes. After that win at the AT&T National, I’m officially giving up trying to figure out what to make of Tiger Woods and whether he is back or not, or whether he will break Jack Nicklaus’ record of 18 majors. I now peek at his career through my fingers, like it was a scary movie – everything is fine until suddenly somebody jumps out from behind a door and whacks you with an ax. I’d much rather spend a time trying to figure out what the heck suddenly came over Joe Daley winning the Ford Senior Players Championship. Joe, from Plymouth-Whitemarsh, has been a bridesmaid but never a bride for his entire pro career. The guy has banged around the various tours for years, never complaining, just moving on to the next tournament, wherever he could get in the field. A great guy who never quite got it done – and nobody could ever understand why, most of all him. Even yesterday, as he marched up the 72nd fairway with a stroke lead the victory his to blow, I squirmed in my chair, fingers crossed that something wouldn’t go horribly wrong. It has happened before, you know. Remember a few years ago when Joe got that horrible break at PGA Tour Q-School? He was about to finally earn his card, when a short putt hit the back of the cup and popped out. Jaws dropped. No card. Never seen anything like it, before or since. At the time, I remember thinking, "That could only happen to Joe Daley." Now the guy’s won a major on the Champions Tour. You won’t find a more deserving guy. Here’s a little video a nice column on Daley by Larry Dorman of the PGA Tour. Whew, did Tiger Woods just do that? Did he really get pretty much every sports fan in the world psyched up over the possibility of watching him work his magic of old at the U.S. Open, only to fizzle on the weekend without so much as a whimper. I mean, watching him shoot 75-73 on Saturday and Sunday to become a non-factor, was embarrassing to watch. Imagine what it must have been like for him. In the old days, after failing to mount any kind of final-round change in the major, Tiger would have been seething, furious at himself. But yesterday, in his post-round interview, it was as if the fight had gone out of him. Tiger shrugged off mediocrity and defeat like he didn’t have a care in the world. I hate to think this is the new Tiger. I hate to think he can live with himself as a guy who slides down the leaderboard on Sunday. I hate to think Tiger no longer has what it takes.